Did you claim a vehicle as a business deduction? If you are like most real estate investors, you use your car for business all of the time. However, if you claimed that vehicle as 100-percent business use and it is your only car, you had better have documentation to back that claim up. Do you claim travel and entertainment deductions? Networking and travel are part of your job, right? That’s fine, but real estate investors often can claim far more in this area than most. Keep those receipts, and be prepared to show not only how much you spent, but what you were doing when you spent it in order to make sure that you get to keep those deductions and don’t end up paying make-up taxes, penalties, and fines. Are you a part-time real estate professional? Real estate professionals are dedicated, and many work a full-time job in addition to managing rental properties or investing in other formats. If this describes you, documentation is going to be key for your tax survival. Individuals who claim relatively large deductions based on part-time work (even if you know you’re basically working two full-time jobs) are a prime target for auditing, so make sure you can demonstrate that the expenses related to real estate are legitimate. 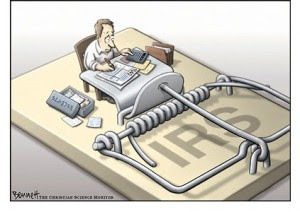 When it comes to filing taxes, having more documentation is always better than having less – especially when you are working with an entity that has the kind of firepower that the IRS does. Make sure you save everything and work with a tax professional to determine the best route for you when it comes to filing your taxes and maximizing your returns.